It was Serendipitous from the Start. My father and I walked the land during the long search for another place in Montana to call our own. From the moment we drove into the driveway, a feeling of awe washed over us; what we found was a little piece of heaven nestled in the mountains atop Mt. Ellis Lane, with the Bridger Ridge and Gallatin Valley meeting our gaze. On our walk of the property, we spoke not a word. We just glanced at each other and smiled. 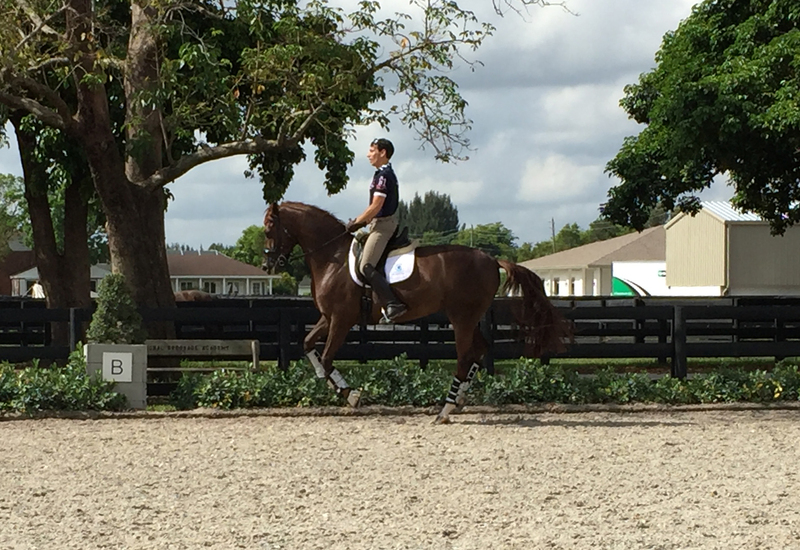 Our horses are enjoying Florida this season and we have moved the majority of our business to Wellington, FL. We have moved our Brood Mares to Kentucky, where they are doing wonderful! Scamp is getting into shape after his serious surgery last March. He is looking good! Prima is expecting and has traveled to Kentucky. More news to come on her pregnancy! Peach is hopefully done growing…we’ll keep you posted with her adventures this season. Please call 406-539-0440 to reach us. 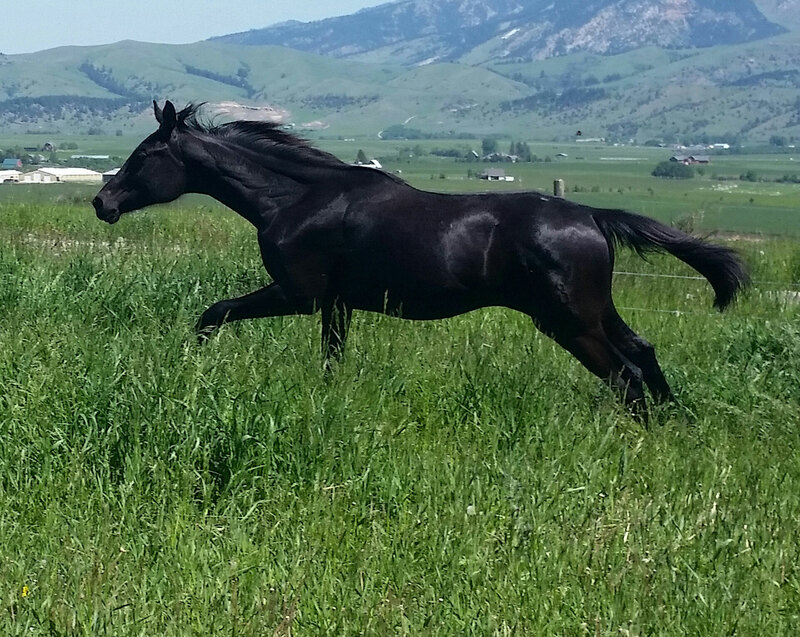 Come Romance Me: a 2014 Oldenburg filly out of Furst Romancier and Charmisa by Stedinger. She just might come to Florida from the ranch so I can start her as she becomes 3. A Birthday Present for Peach! 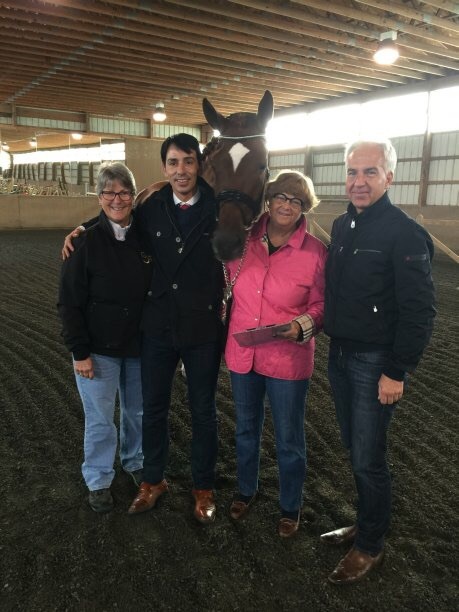 Thank you Charlie Tota of Dressage Connection for such super service and a wonderful fit for our little star! Peach wins the American Hanoverian Association USEF Young Dressage Horse Five-Year-Old Champion award! Our two foals out of Prima and one out of Peach were huge hits at our inspection in August 2015. Primas’ filly not only received a Premium Award Foal but the Foal of Distinction Award as well from the Oldenburg Verband! Our focus is to raise exceptional horses that have the conformation, temperament, intelligence and eagerness to learn and please. Our beautiful mares are crossed with some of the most prominent sires in our industry such as Sandro Hit, DiCaprio, Sir Sinclair, Furst Romancier and Quarterback. We give our horses patience, respect and understanding to build a horse with a willing heart and the desire to please. 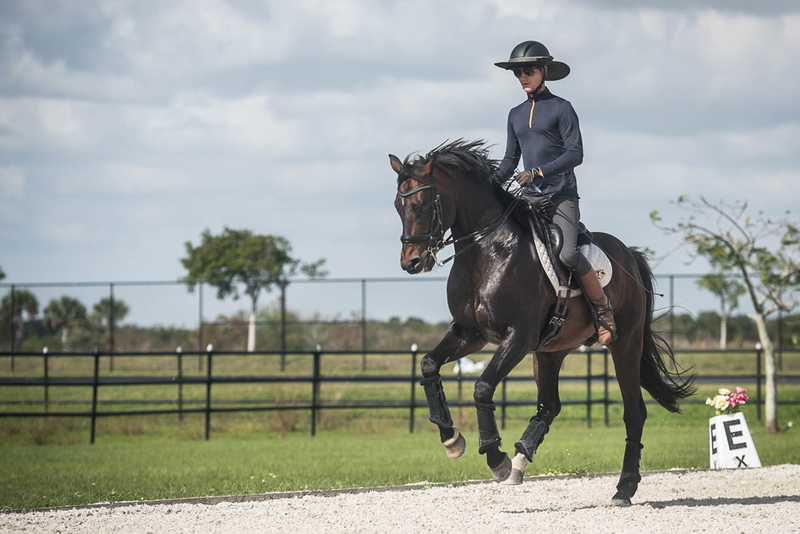 Our horses are the healthiest and most balanced you could ever find in our industry. Our foals are handled from the day they are born, and are halter-broke to walk with you at the throat latch. All of our horses are taught to bathe, clip, load and shoe calmly. 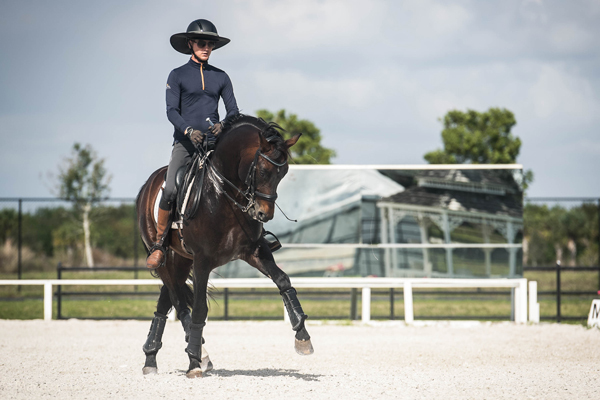 Our horses respect, are eager to learn and will give what you ask for with all of their heart. Give us a call and we will talk about your potential foal. Chances are the foal of your dreams is already on the way!